BPS is a provider of Call Recording solutions from reputable brands. We can always offer you a solution for your recording needs. 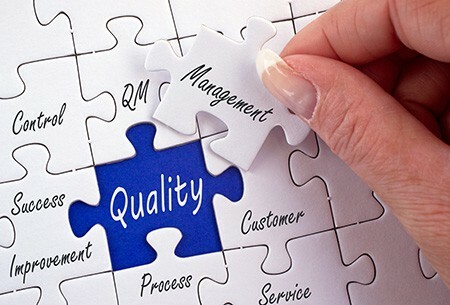 By using Quality Management solutions you will increase employee satisfaction, customer satisfaction as well as the profitability of your organization. With WorkForce Management solutions you can schedule your employees quickly and efficient, taking into account all the factors that are present within your organization. Technology within the contact center branch is evolving rapidly and although the user-friendliness of the systems is increasing it requires ample expertise to realize the connections with existing systems. BPS International BV has been providing call recording solutions for telephony systems since 1995. During that period we also added quality management solutions as well as WorkForce Management solutions to our portfolio. For many other companies it is just a “side product” but for BPS it is our “core business”! This means that we have short lines of communication and you will always get a specialist when you are contacting us. Due to our extensive international experience, we are therefore able to offer you a suitable solution for your own environment. We not only sell these solutions, but we also take care of the installation, service and support of the delivered systems as well as the training of your employees. The solutions we offer are high-quality solutions which enable us to guarantee our quality of the solutions offered. The products we have in our portfolio are used worldwide by small and large organizations. This enables us to offer a high-quality solution for your own specific situation at a favorable price / performance ratio. BPS again provides excellent services. Every time you are ready for us. Nothing is too much and you always take care of a solution. BPS is as reliable to us as the recorded piece of voice recording.